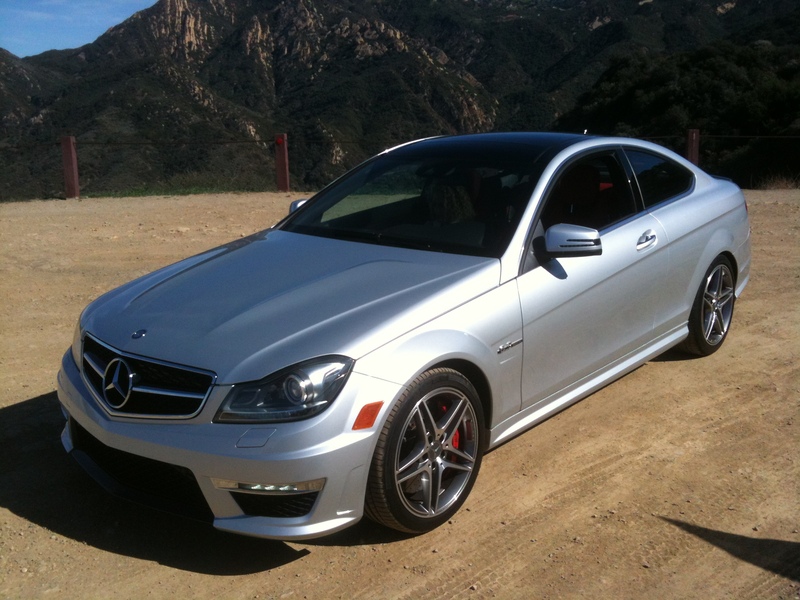 The 2012 Mercedes Benz C63 AMG is pure Mercedes but there are definite AMG distinctions that stand out. They take a standard C-Class coupe add some bigger wheels, a stiffer suspension, and drop in a hand-built 451hp V8 attached to a 7-speed multi-clutch automatic transmission with a manual shift mode. From the first glance it’s clear the C63 AMG is more than just a C-Class with some badges, it’s all about performance. From its 200mph speedometer to features like “Launch Control” and “Race Mode” that let the driver record lap times at the track. Add the “AMG Development Package” and horsepower rises from 451 to 481, top speed increases from 155 to 174 and you get a high-performance compound braking system so it’ll stop fast too. And if 481hp isn’t enough for you, you can always opt for the limited-edition 510 horsepower C63 AMG Black-Series. The 2012 C63 AMG has the level of luxury you’ve come to expect from Mercedes-Benz but its got AMG performance running through its veins.